Often in discussions of the evolution of complex behaviour, I’ve come across a certain set-up: evolution naturally, ‘without effort’, produces egoistic creatures, and then only in response to certain particular selection pressures, and through certain particular mechanisms, does it produce altruism. That is, people often seem to assume that the ‘problem’ or ‘challenge’ for evolution is how to limit egoism and allow altruism. Or conversely, that’s the ‘problem’ or ‘challenge’ for people trying to understand and explain the evolution of complex behaviour. I’d like to suggest that this is actually the opposite of the truth: the problem is how to make naturally altruistic creatures behave egoistically. This week’s mammalfest concerns the cottontop tamarin, a small hairy monkey which has some measure of self-consciousness. Tamarins (and the related marmosets) are all small arboreal monkeys from Central and South America. The cottontop has an even more restricted range: in the wild it is only found in northern Colombia, having been driven out of Central America, it would seem, by deforestation and export for human purposes. The majority of cottontops now live in captivity. The species’ name obviously comes from its large crest of white hair, which looks a bit funny, though not quite as funny as the emperor tamarin, shown below. Cottontops live in small groups, moving through the canopy eating pretty much anything small enough to fit in their mouths. They communicate through a complex collection of calls that are still the object of study. Their groups tend to be centred around a single breeding pair, whose young are co-operatively looked after by all group members, and mainly carried by the father. One of the most philosophically interesting things about cottontops is how they fare in the ‘mirror test’. This is a test to see if animals can recognise an object in from of them (e.g. their reflection) as being themselves, i.e. show some sort of self-consciousness. This could be tested by, for example, putting a dot on an animal’s head while it was asleep and then observing whether, on noticing the dot in the mirror, it touched the relevant spot on its own head. Now by this method, chimps can pass the test, but cottontops didn’t. Then a smart guy called Marc Hauser worked out that maybe it was just that they didn’t care, they were too cool to stress over some little spot. So instead, he aneasthetised them, and dyed their enormous crests bright pink. 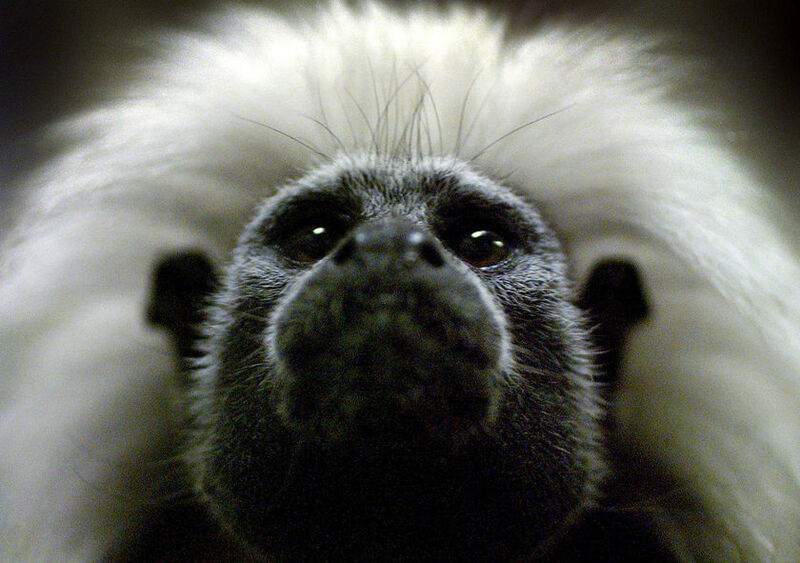 When they woke up, they were captivated by how rad they now looked in the mirrors, staring for long periods at what previously they had ignored (staring peacefully, moreover, which indicates that they did not see their reflection as a separate tamarin). They were substantially more likely than in control conditions to touch their crests. This is an interesting fact about tamarins. It’s also food for thought about self-consciousness in general. Some sort of faculty for identification with an image seemed to be displayed, but it didn’t seem to come out under normal circumstances or play or any major role in the animals’ lives (or did it?). If self-consciousness needed a specific evolutionary function to evolve, then we might be surprised that it was found in animals for which it didn’t seem to play such a function (unless it does). This might suggest that self-consciousness is a natural byproduct of consciousness itself: that any conscious thing has the capacity for self-consciousness under certain circumstances, but with variations in how easily, frequently, or robustly – the difference between staring into a mirror for an hour and writing an autobiography. Interestingly, many philosophers have said something of this sort – that self-consciousness and consciousness are closely linked – while denying self-consciousness to non-human animals. Those crazy humans, eh? Are We Oppressing Our Pets? One of my older posts, “Why Pet-Ownership is Oppressive but Necessary“, has been getting a lot of traffic lately after being posted on some forum. It’s attracted a few comments on said forum, generally derisive. Since this topic is liable to sound ridiculous to many and irrelevant to others, I thought I might try to clarify the point, as well as looking at a couple of comments and the way that they exhibit exactly what I’m trying to talk about. I should start by being clear on ‘oppression’. When I call pet-ownership ‘oppressive’ I don’t mean that pet-owners are going around plotting evil things to do to their pets. I don’t even mean that life as a pet is necessarily worse than life in the wild, since it sometimes brings greater security. I certainly don’t think people are bad for having pets (I have some myself). I’m just stating the factual character of the relationship. What I mean is that the relationship between an owner and pet is characterised by the control of one by the other, one having no adequate way to articulate their needs and hence finding their life dictated on terms alien to them. For example, it is decided for the mouse whether it will live in a cage or not, and how often it will come out. It has no way to express how often it wants to come out, how much space it needs, how it feels about any of this. So the parameters of its life are set by someone else, who only takes the animal’s feelings into account on their terms, when the owner happens to be aware of them. I think this is problematic. I don’t think there’s a much better alternative right now, but I think in the long term we should aim for co-existence with animals on a different basis. For example, in planning a town, if we think there will be dogs living in it, we need to find out how dogs relate to space, to other dogs, to other humans, to territory, etc., and we need to design the town from the ground up with them in mind. We can’t design everything simply with humans in mind and then throw non-humans in as an add-on. 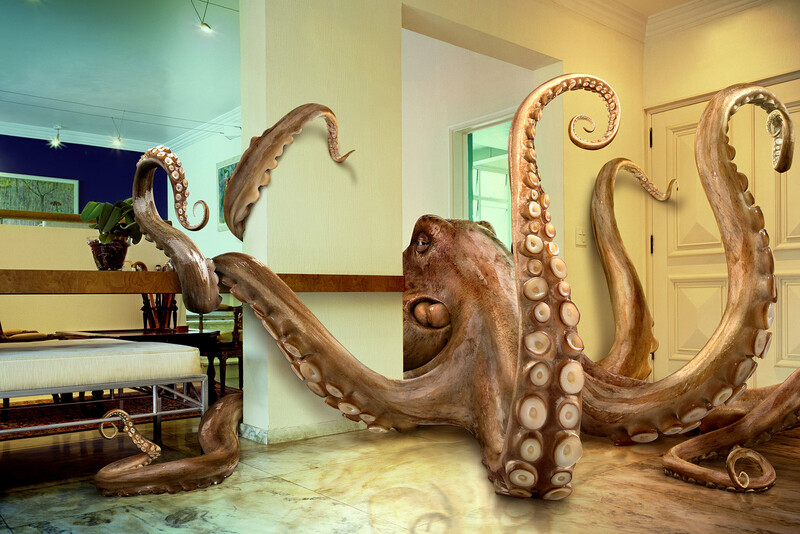 I’ve always had a certain fascination with octopuses*. They are a spectacular example of a life-form that is, in most anatomical respects, radically different from the tetrapod paradigm that’s dominant among land animals – the four-limbed, internal skeleton pattern, centred around a spinal cord, found with various modifications among amphibians, reptiles, birds and mammals. Moreover, they’re a life-form that displays very marked intelligence, dexterity, and a whole collection of cool abilities. I recently learnt, however, that their intelligence at the moment is held back very considerably by two facts. Firstly, their lifespan is short, and reliably so, because after reproducing they release suicide chemicals (not to mention having given up food while establishing their young). And secondly, although they are often quite social and interact with each other, there is no parental care, with the babies just floating off into the current. A final post on torture. The fact which the use of psychology for torture brought home to me, but which I was already nominally aware of, is the ethical ambiguity of science. That is, increase in scientific knowledge is not a straightforwardly good thing, because there is no unified ‘humanity’ to make use of that knowledge – there are a collection of self-interested cliques and groups with structurally opposed interests. Any piece of new knowledge can thus be put to both malign and benign purposes. What this relates to is then the ways that we get that knowledge. For example, the research on learned helplessness and depression – how was that acquired? By torturing dogs and seeing what mental injuries resulted. I’m not throwing in ‘torture’ as an emotive word for rhetorical purposes here; it’s a perfectly accurate description. Pain was inflicted specifically so as to cause permanent mental harm – the experiments were successful because they fulfilled that goal. Now it’s commonly argued that animal experiments are needed because the knowledge they give us is of such value. Well certainly, to those concentrations of power backing the experiments – for them, any new piece of knowledge is an unqualified good. But for everyone else, it has the ambiguity that comes from the fact that it can be used both to refine and improve procedures of therapy, and also to refine and improve procedures of torture.